This pop-up display light is made from LED ! as more and more people know ,this new lighting source is around 8 times energy saving compare to incandescent bulbs or 5 times compare to fluroscent lights . 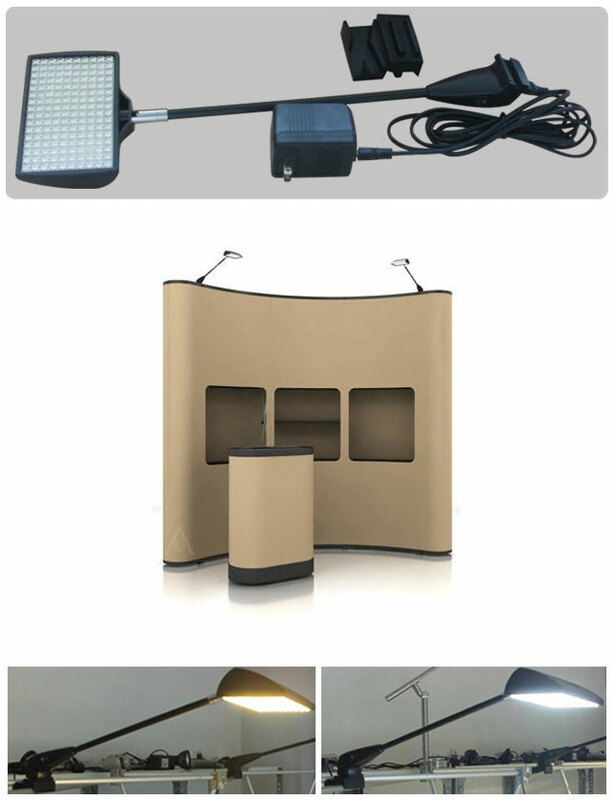 As a professional tradeshow and exhibition factory, we strong recommend this model for you . 5 STAR LIGHTING FACTORY !